My first few attempts went really well so I decided to put some pictures up on Facebook. Before I knew it I had lots of interest from friends and family and word of our boxes really began to spread! Our customers really enjoyed the convenience of delivered fresh produce as well as the great feeling of eating yummy local fruit & veg, AND supporting local farmers. We approached Dart Fresh Produce in Topsham and after seeing what fantastic local produce they offered we decided to use them as our sole supplier. Their policy (and now ours) is to support as many local farmers and producers as possible, which we think is a great mission! In addition to our delicious pre-made boxes which you can buy from our website, we also like to offer a totally customised box through our Fitbox box – targeted at the health conscious folk out there. Our boxes cover a wide range of prices so we like to think we can cater for all budgets and if you want to give us a call we can even help to make something bespoke for you. We also pride ourselves on having a one to one relationship with our customers; keeping the service as personal and tailor-made as possible. Thanks for visiting our website and we hope you enjoy our products! 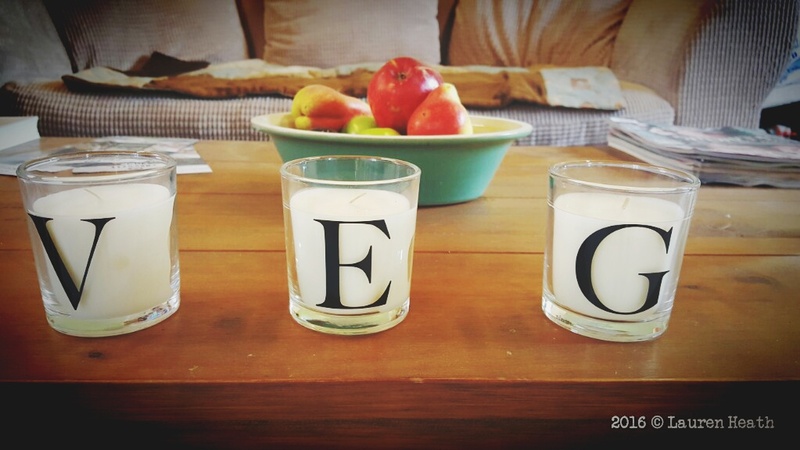 Below is an interview we did last year with our good friend Lauren from Eating Exeter! As it does these days, it all began with a tweet…my husband Steve was singing the praises of Devon based BOOM Kitchen and their curry kits (further info on these guys to follow in due course) and a twitter flurry occurred between him and a small local business called Veg in a Box about how good the curries really were – “excellent” we said – “give them a try, you won’t be disappointed”…a week later, we heard a deal had been struck and a ‘veg curry in a box’ was in the making. We have since met the owners, Julie Corcutt and Bela Dobrovenszki, on a few occasions and found them to be so down to earth, friendly and incredibly passionate. Based at the back of Clyst St Mary, in a little cluster of barns, buildings and businesses they are possibly the hardest working people we know. Their ethos is to buy the best they can for their customers, customising their boxes as you desire and taking orders up to the night before to match demand and fit in with the busy lives we all lead nowadays. This does mean they are working their socks off…but then success never comes easy and they are already planning the secondary side to the business called The Devon Meat Co, making up meat boxes for those more focussed on protein, the major BBQ fan or just thegeneral meat lover. They are also passionate about partnering with other local producers including BOOM Kitchen, Eat the Smoke, Privateer Jerky and Quiet Waters Farm (to name a few) to make their offering even more exciting whilst supporting other small businesses like them. Their produce and boxes are portayed to their full potential and beyond in their marketing thanks to the photography skills and food passion of Marcus Bawdon of Country Wood Smoke and Editor of UK BBQ mag. We finally got to visit The Old Piggery, their home from home they have been working very hard on recently, to take a few pictures and catch up with them over their plans. 1. Who is behind Veg in a Box and where are you based? The business is a real labour of love for me and my partner Bela. It’s lucky that we get on so well as we do everything ourselves – picking and sourcing the produce, ordering, marketing, customer service. It’s really important for us to be available for our customers whenever they need us so it’s pretty much a 24/7 operation. There’s not much time for sleep! We recently moved to new premises in Courtway Farm, Clyst St Mary. We’re still settling in but we really love it there. 2. Has this always been your job? No, we’ve had a real change of career! Before starting Veg in a Box we were actually property developers with a property maintenance group. I made my first fruit and veg box as a gift for a friend. I collected the produce from local farms. I thought it looked pretty good so I posted a photo of it on Facebook. By the end of that day, I had 25 orders and by the end of the week I had 90 orders! That persuaded me that it was time for a change of direction. Bela and I started making the boxes in the spare bedroom of our tiny cottage. One day I was passing Darts Business Park and spotted Dartfresh produce, a fruit and veg wholesaler. It must have been fate. I went in and met with the owner, John Pritchard. He offered me a space to rent that same day and has mentored me ever since. He has 30 years’ experience and really knows his stuff – I’ll always be grateful for his support. We’re up at 3am to pick up supplies for the boxes – there are no lie-ins in this business. The first thing I do each morning is check my inbox for overnight orders while Bela deals with the important work – feeding our cats and making the coffee! We drive to the farm, where we put away any deliveries and start bagging up mountains of potatoes. Bela heads out to collect more produce from our wonderful, local suppliers. Then we start making up the boxes ready for Bela to deliver. By the time he gets back I have another batch ready for him – I like to keep him on his toes! We normally get home about 7.30pm but business continues – I carry on answering customer enquiries and placing all of our orders with our suppliers ready for the next morning. Last September, we decided to take a very rare day off and go camping. I wasn’t planning on answering my phone but one caller was particularly persistent so I relented and was very glad I did. 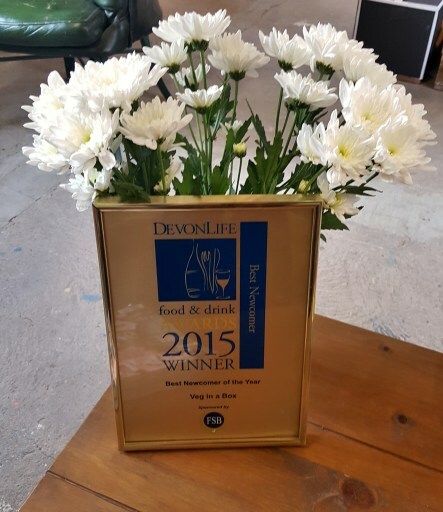 It turned out to be a representative from the Devon Life Food and Drink Awards inviting us to their ceremony. A few weeks later I received a posh invitation telling us that we had been shortlisted for ‘Best Newcomer’. I actually burst into tears! We were up against some very well established businesses and I didn’t think we had a chance of winning – I was happy just to be nominated. When we actually won, it was like a dream come true. It made all of those early mornings worthwhile. 5. Where do you get your lovely produce from? High quality produce is the lifeblood of our business – we want the best for our customers so we’re lucky to be surrounded by wonderful, local farmers where we live in Crediton. We source as much of our produce from Devon as we can. My mentor, John, from Dartfresh has put us in touch with some excellent local suppliers. Our neighbour, Michael Thorne, provides a lot of our tasty vegetables and the rest come from farms in East Budleigh and Yeoford. 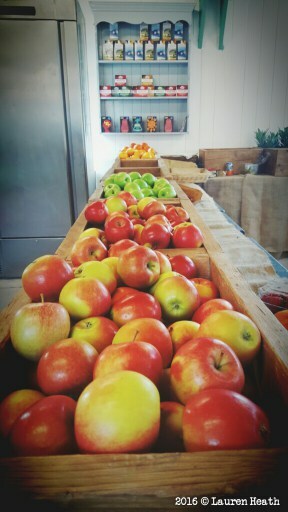 Our delicious apples are from Four Elms farm. We’ve just started getting our salads from a new producer just outside of Bradninch and we’re meeting with local community growers to plan some lovely salads for the summer. We’ve also just had our first field planted with greens for the months ahead – I never thought I’d be so excited about a field! 6. What type of boxes do you make and approximate price range? Today we have around 40 different boxes. But that can change quickly – sometimes I wake up feeling inspired and have a new box available online within a few hours! Our lowest priced box is a Child’s Fruit Box at £15 and then a medley of fruit, veg and salad boxes ranging from £20 to £65. Our Deluxe Box (£45) is a customer favourite, it holds 12 free range eggs and as much fruit, veg and salad as I can squeeze into it – it’s a real whopper! Locally sourced meat boxes range from £55 to £65. We have a new range of meat boxes in development for those in training or following a particular diet or nutritional plan which I hope will be very popular. 7. I have seen a lot of redecorating posts on your Facebook page, what are you up to? Yes, we’ve just moved to our new HQ. A lovely guy who owns a farm in Clyst St Mary showed me around some rental units but none of them seemed to fit the bill. He told me there was one more available –The Old Piggery – but he was pretty sure I wouldn’t want it. The ceiling was hanging down, the windows were rotting, covered in dirt and cobwebs and the floor had concrete pig stud in it but I just fell in love with the space. I knew I could transform it with a bit of love. It’s taken about three months and it’s almost complete – just the flooring to be finished. It’s like our second home now! 8. So what are your overall plans/vision for the future? Now we have our HQ up and running, we plan to grow Veg in a Box significantly. We’re going to focus on letting people know who we are and what we do. We’ll be attending as many local fêtes, shows and festivals as we can – really getting ourselves out there. We’ve just commissioned the Prop Factory to help us get noticed at festivals so the next few months should be a lot of fun. We’re also are going to continue to do as much fundraising for our chosen charities as we can. With the help of our generous customers, we’ve raised thousands of pounds for Hospice Care which we were thrilled about. 9. What makes you different from other veg box schemes? We must be the only one that is totally run by just two people. I think that makes us unique (and exhausted!). It means that we really know our customers, their families – even their pets! We make our boxes fun – we have themed boxes for every occasion imaginable. We’re even launching a kids master chef box soon which we hope will encourage children to have an interest in where their food comes from. 10. Tell us something funny, random or interesting! Cats love our deliveries as much as their owners. Bela is so crazy about cats that he keeps cat food and treats in our delivery van. When we pull up, our customer’s cats are always the first to give us a friendly welcome! Thanks to Julie for answering my questions in between her busy schedule. 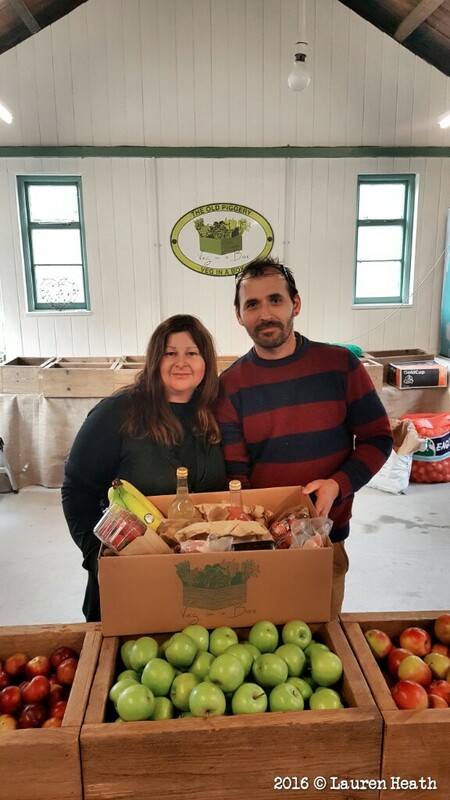 Devon is lucky to have a couple of veg box schemes available for the busy household, but if you like even more flexibility and choice and want to experience the epitome of personal touch – then give Julie and Bela a try! We can’t wait to see what they offer next.